There are estimated to be some 300,000 feral cats in Rome. The city council supports the cats as part of Rome's ancient heritage. 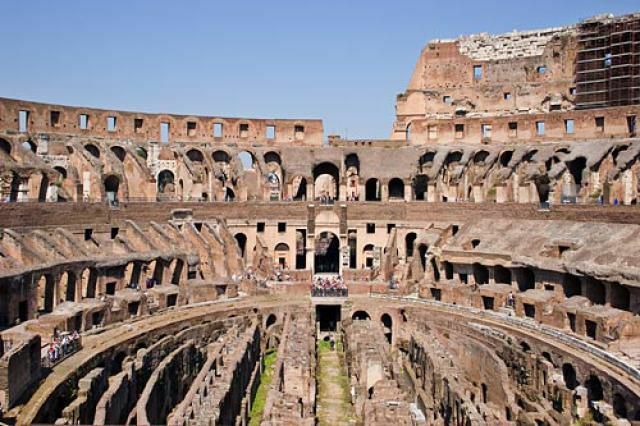 In 2001 the cats living in the Coliseum, the Forum and Torre Argentina were officially named part of the city's "bio-heritage." The cats are fed in the lean times by the doting Gattare, or "Cat Women." In antiquity, the cat was highly valued for defending mankind against rodent-borne diseases like the plague. Another way humans interact with Rome's cats is through a unique Sanctuary in the very place that Caesar was murdered in 44 B.C., the Torre Argentina, a sacred area which contains some of Rome's earliest temples. It was first excavated in 1929. Cats moved into the protected below-street-level shortly after--to be followed by the "gattare," the most famous of which was Italian Film star, Anna Magnani. The Torre Argentina Cat Sanctuary began later in an excavated area under the street which was used as a night shelter for cats and a storage place for food. Through donations from visiting tourists and fundraising efforts, the sanctuary evolved into a professional operation, taking care of the cats by feeding, spaying and providing medical assistance while sharing funds with the poorer sanctuaries around Rome when they were available.